This event begins with all six teammates on the starting mat. At the sound of the beep, they will go under the wall and down to the Worm to complete 40 Worm thrusters. The teammates will then drop the Worm and perform 40 Worm burpees. 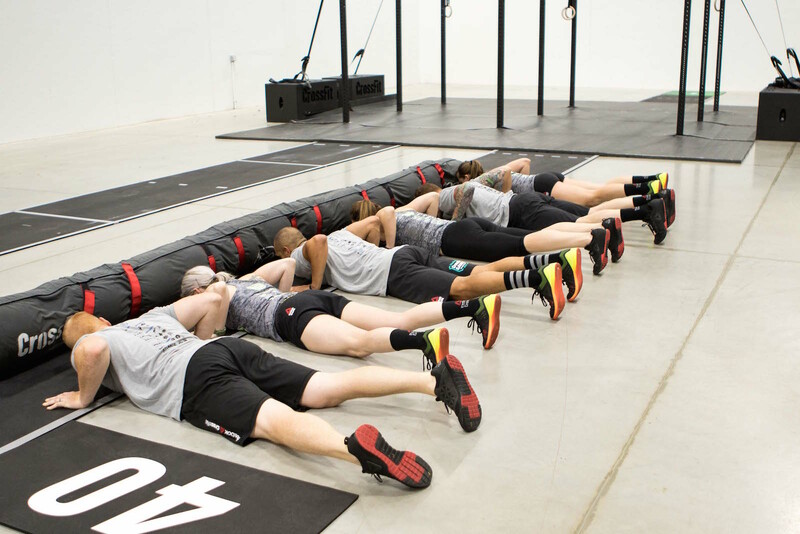 They will then pick up the Worm, advance it to the designated section and perform 30 Worm thrusters and 30 Worm burpees. When the last burpee is complete, the team will advance to the finish mat. The minimum work requirement for this event is 40 burpees. Full video of Team Event 2 can be seen here. 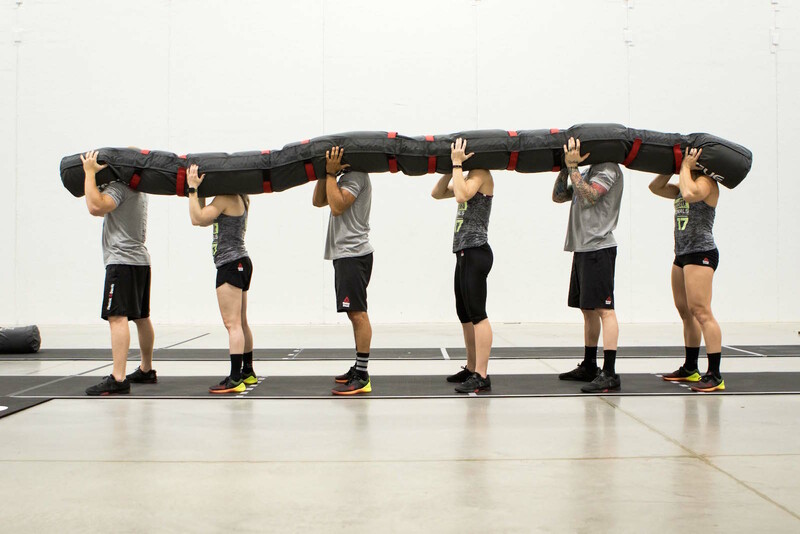 Each rep starts with the athletes on the same side of the Worm with the Worm resting on their shoulders. At the bottom, each athlete’s hip crease must clearly pass below the top of their knees at the same time. At the top, each athlete’s hips and knees must be fully extended as the Worm is lifted over the athletes’ heads and moved to their opposite shoulders. The arms do not need to reach full extension as the Worm is moved overhead. Athletes may be in any order, but each section of the Worm does not weigh the same. From front to back, the sections weigh 80-65-75-60-70-55 lb., with 6-lb. bags between each section, for a total worm weight of 435 lb. 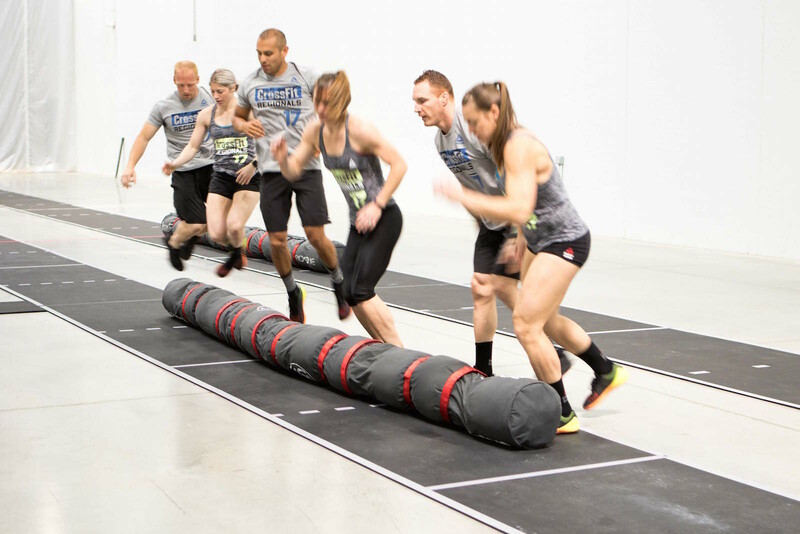 The Worm burpee starts with all six athletes on the same side. Each athlete’s chest and thighs must touch the ground at the same time. When jumping over the Worm, a two-foot takeoff is required. 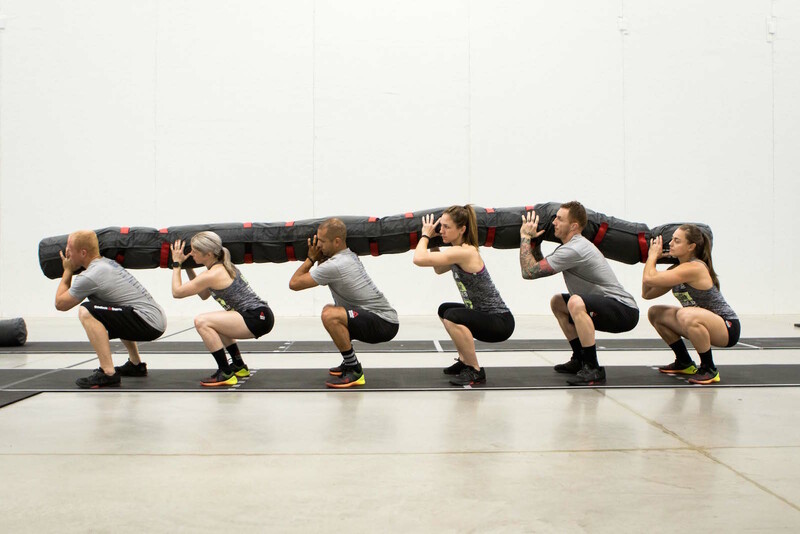 The rep is counted when all six athletes land on the opposite side of the Worm.